A good cop can’t sleep because he’s missing a piece of the puzzle. And a bad cop can’t sleep because his conscience won’t let him. The story opens as sleep deprived detective Will Dormer (Al Pacino) gets down with his partner Hap Eckhart (Martin Donovan) in a town best known as “the fishing capital of the world”. These veterans are on an assignment to to assist the local police with their investigation of a 17-year-old Kay Connell’s (Crystal Lowe) murder. At the same time, Dormer is going through an intense investigation by internal affairs. And the verdict may ultimately have a great impact by his partner’s testimony. In an attempt to find the murderer and put an end to the case, Dormer accidentally shoots his partner. Eckhart dies before he could tell anyone who fired the shot. Dormer believes that it would be impossible to convince that it was an accident as the internal affairs wouldn’t ever trust his word. A young local police officer Ellie Burr (Hilary Swank) is put in charge of Eckhart’s shooting. Dormer tries to put the blame on the murderer but Walter Finch (Robin Williams) outwits him. To return his favour, Finch blackmails him to put the blame of Kay Connell’s murder on her boyfriend. Now it is Dormer’s choice. Finch puts him in such a situation that he has to choose between his career and this one case. And everything else is just too interesting to spoil it over here. The trailer of the film is one of the most misleading trailers ever. The film is definitely not as typical as the trailer makes it sound. It is one of those rare cases where the film is better than the trailer. Calling the film better won’t be the right term. The film is completely different from what the trailer promises. You can rely on my word for that. The film is a remake of a Norwegian film of the same name, made in 1998 by Erik Skjoldbjærg. Christopher Nolan belongs to that category of directors who love to write their films. And Insomnia might be the only film in which Nolan has no credit as the writer of the film. And yet, surprisingly enough the film has many elements that signify that it is a Nolan’s masterpiece. While reading more about the film I just discovered how perfect the casting of the two lead characters is. Dormer is guilty of his crimes and he knows that he deserves to get caught. He is burdened and tired of carrying it all by his own. And all of this shows on his face. On the other side, Finch is confident. He is calculated and he knows that Dormer will eventually give in. Finch’s face is straight and composed. There are more important characters in the film than the names shown in the credits. The location itself, with daylight for 24 hours without any discount gives an additional reason for Dormer to be an insomniac. I believe that names are everything. Whether they might be the names of the characters or the title of the film. You hear the names of important characters at least ten to twenty times in the whole film. It tells you a lot about the character and gives a poetic weight to everything that happens. Similarly the title of the film sums up what the film might be all about. And that’s why in my recent film Boundary I waited till the very end to finalise my title. The film explains to me what a grey character could be. A character trapped in his own actions with a past that haunts him every minute. Guilt and regret fuels his behaviour. It is what the person thought was right at that very moment. In Insomnia it is not just Dormer but also Finch, troubled by their respective pasts. The similarity of the situations is a matter awe. And none of this could be termed as wrong when seen from the character’s perspective. And it is all perspective and opinion in the end. 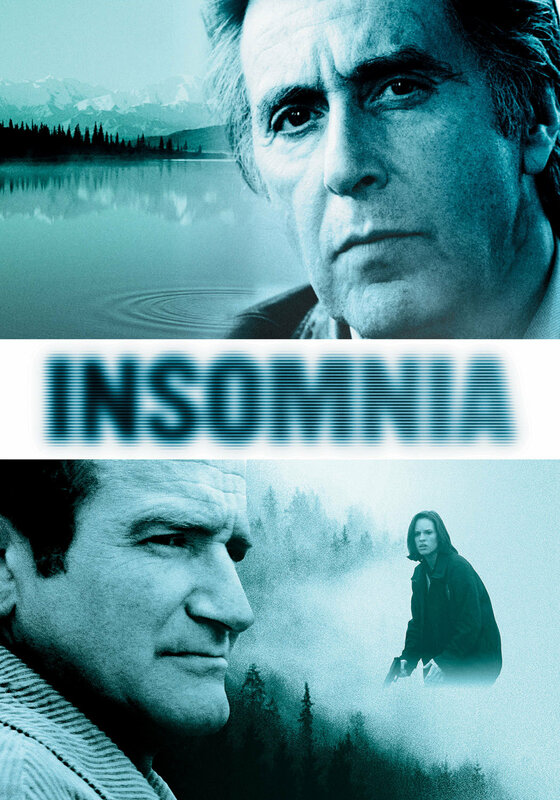 Insomnia is an American Psychological Thriller and one of my personal favourite films. Not that I can watch the film again and again. It is somewhat heavy as it should be. But I there is a lot that I have taken back from the film.